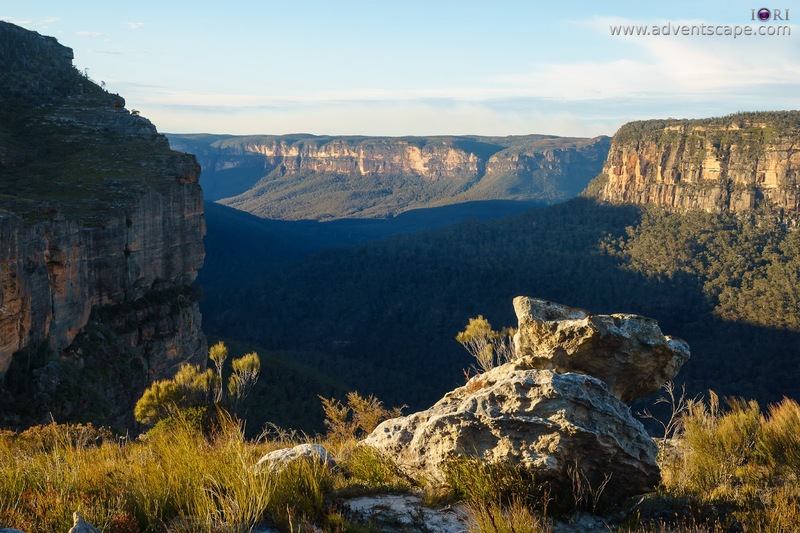 Blue Mountains is one of the iconic landmarks in Sydney that residents and tourist would like to visit. This area is so vast that you need to plan and ensure the location you're visiting. Its a vast mountain range, valleys, cliffs, reserve, forestation, rivers, streams & waterfalls that if you don't know where you're going, you will end up lost - and in the news! 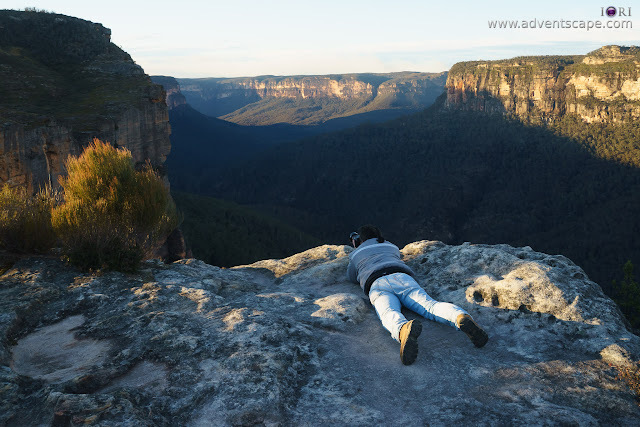 Although you need to bush walk for hours to arrive at the most amazing locations, there are a few places at the Blue Mountains that don't require you to be an explorer. Echo Point is a famous example. 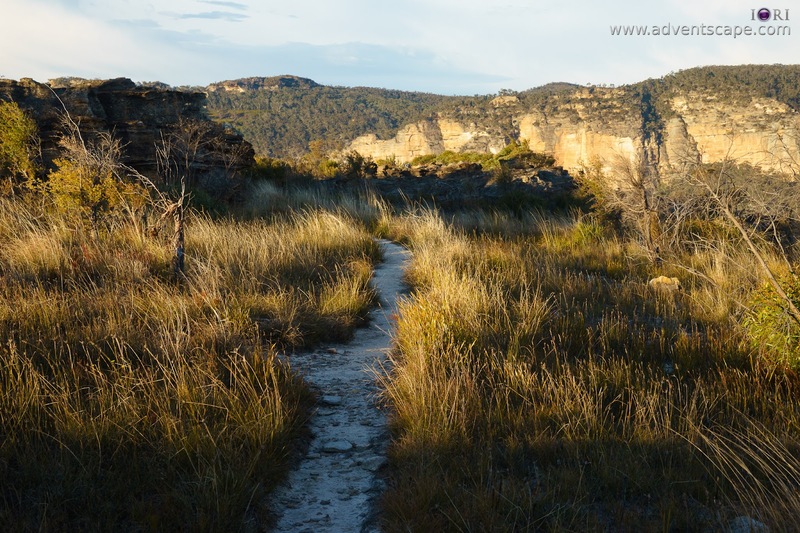 Just recently, I went to Walls Lookout at Bilpin. This is a very easy return walk. But the sight is magnificent! When you're standing at the edge of the cliff, you'll see the vast forestation of Megalong Valley. It runs from end to end and it's majestic. You'll also see the opposite Wall in front of you. If you have a drone, you'll see the Wall you're standing at. This is an amazing feat which I managed to capture. If you want to see my drone movie, please scroll the the bottom of this post. I’d choose the shoes wisely. If you have hiking boots, better use it. If you have those casual sneakers, they are equally good on level ground. But I’d still pick hiking shoes especially if you wanna climb a ledge. Hiking boots also give more protection on very rough trails. I didn’t felt the need for a bottled water. But if you want to keep yourself hydrated, you can bring it. I can say that it’s optional to bring bottled water on the walk, but I recommend bringing one on this trip. I didn’t brought a bottled water with me on the walk. I didn’t felt the need to drink water. It’s when I returned at the car I felt myself very thirsty. Good thing my friend has one extra. NOTE: Be prepared to understand the trail. 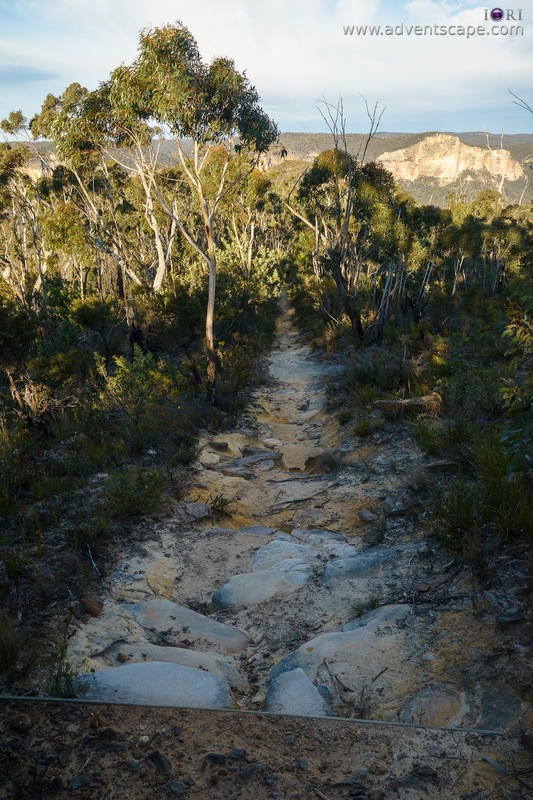 The main trail is walked upon frequently so the bushes are usually on the sideways. There are a few smaller / narrower trails you'll noticed as you walked along the way. When we walked back towards the parking, we got lost for awhile. We made a wrong turn walking for 30-60 seconds. My friends noticed and he's sure that we didn't walked on this path. Walls lookout is at the Bilpin area. Bilpin is famous for it's amazing sceneries and fruit picking activity. I always see 'Apple Picking' at Bilpin. I haven't done this yet as every time I go to Bilpin, I'm always pre-occupied at the activity my friend and I planned before. If you're drving at Bells Line of Road coming from Richmond, be aware that if you drove past Mt Tomah Botanical Gardens, you're very close. If your driving at the opposite direction, please be aware that once you drove past Mount Wilson Road, you're near. Just make a turn and park your car on the open space provided. You'll not get lost as the start of the walk will have the 'Walls Lookout' signage. 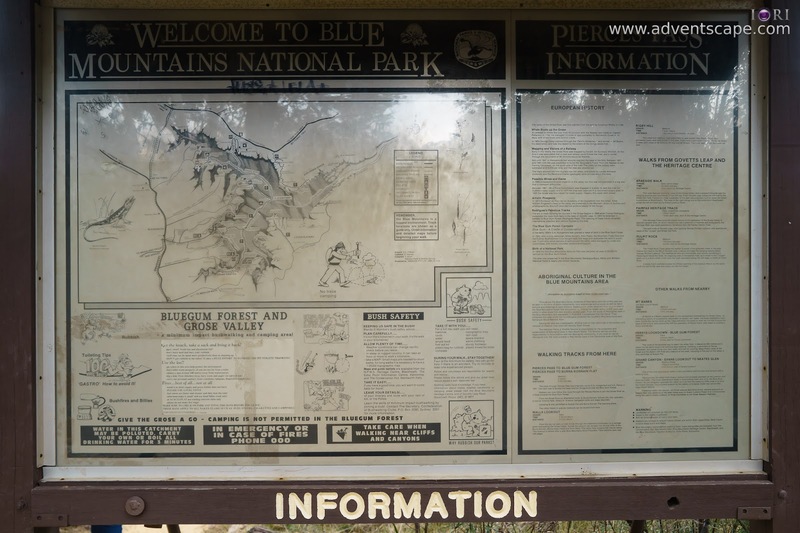 There is also an Information Board posted but the information is hard to read. It's particularly harder to read early in the morning as the information board is facing the sun directly. 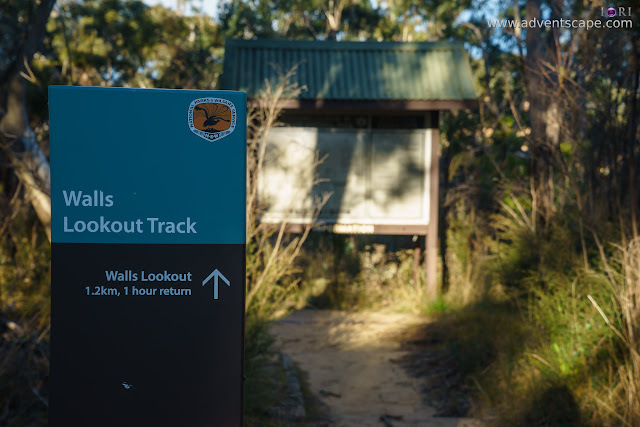 As the information say, Walls lookout is just 1 hour return walk. This is true. The walk itself is not hard. There are no steep slopes to walk on to and there are no downward climb. There are 2 or 3 instances where you might need to be fully careful, but again it's not that hard. If you go with a mate, it's easy going forward. IMPORTANT NOTE: Although the path is easy and straightforward, I would recommend visitors to be aware and remember the route they are walking. There are many detours and forks on the main path. But it's not obvious if you're walking from the parking to the lookout. These forks are more obvious walking from the lookout back to the parking lot. We got lost for about 2 minutes before turning back. We noticed that the path we're walking is so much narrower and heavier with shrubs. We managed to turn back and saw where we made a mistake. On my drone video, I saw many smaller paths that forks from the main route. So be careful and just walk straight to the obvious way. The first half of the bush walk is covered with trees. But the other half isn't. Thus I recommend a sunscreen or hat to battle the sun. If it's windy, it's best to bring some lip balm. Once you go past the halfway mark, the view starts to get better. You can see the "Walls" from the opposite side, left and right. Before arriving and standing at the actual edge of the cliff, there are good spots to take photos. You can frame your shots so that the subject is like standing at the edge of the cliff! I got several photos that I love. The backdrop is also amazing. 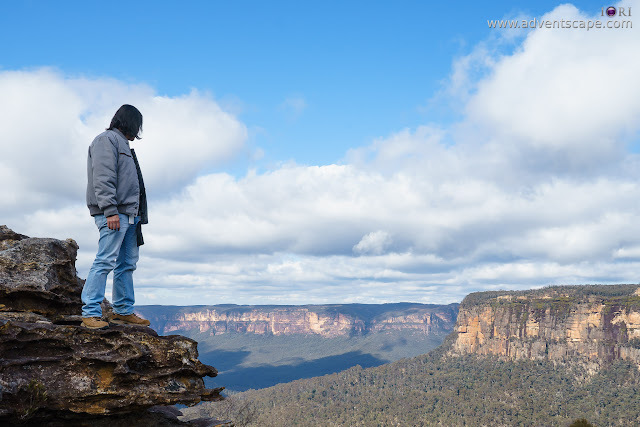 It's one of the best lookouts I've seen at the Blue Mountains. Although it's tempting to walk at the edge of the "Walls", care should be taken heavily. I don't recommend standing near these edges on a windy day. I had been here before where the wind is about 40kph gust and it can blow you away. There are no rods/trees to hold on these edges so don't even try. I remembered going to the edge of the "Walls" by actually crawling. I can't make myself walk towards it. After taking several photos, I prepared my drone for take off. 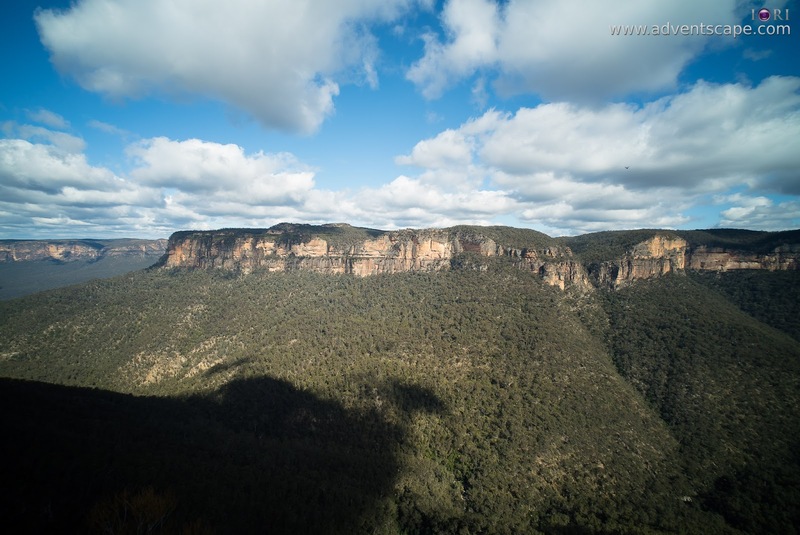 This are one of the areas of the Blue Mountains where I can actually fly my drone without any issues. Since it's clear of trees, I can manoeuvre my drone anywhere. It's like a bird in freedom (battery is the limit!). The best thing about this area is it has GPS. Thus, I can fly in GPS mode. It can fly on one spot and stop there. If I don't have GPS, the drone will drift further on the last direction it is directed to. GPS or none, I'll fly it here. Aside from GPS, there is also a mobile signal. If you want to take photos and immediately post it on social media, that's doable. 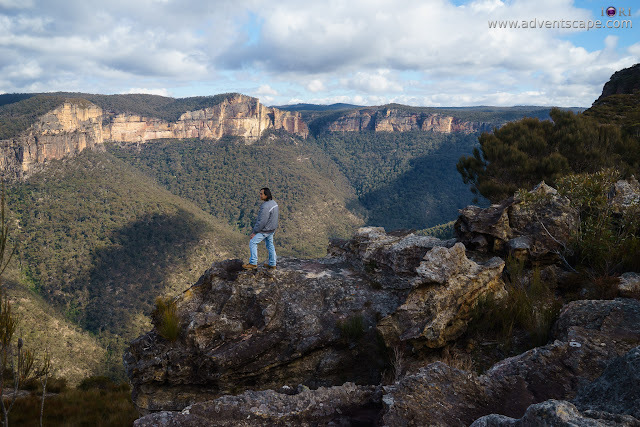 There are not many areas in the Blue Mountains that you can have signal on the actual vantage point. 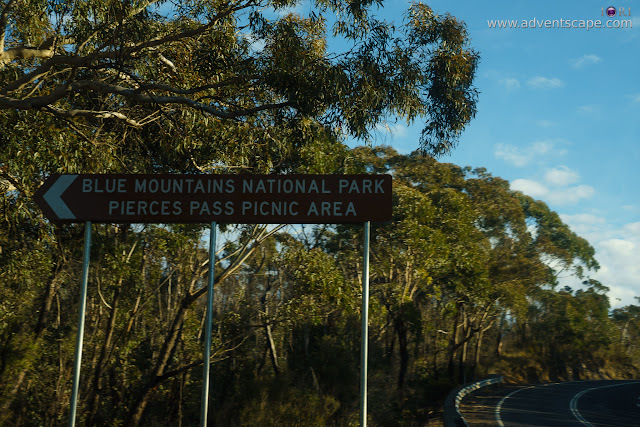 Blue Mountains is a vast national park. 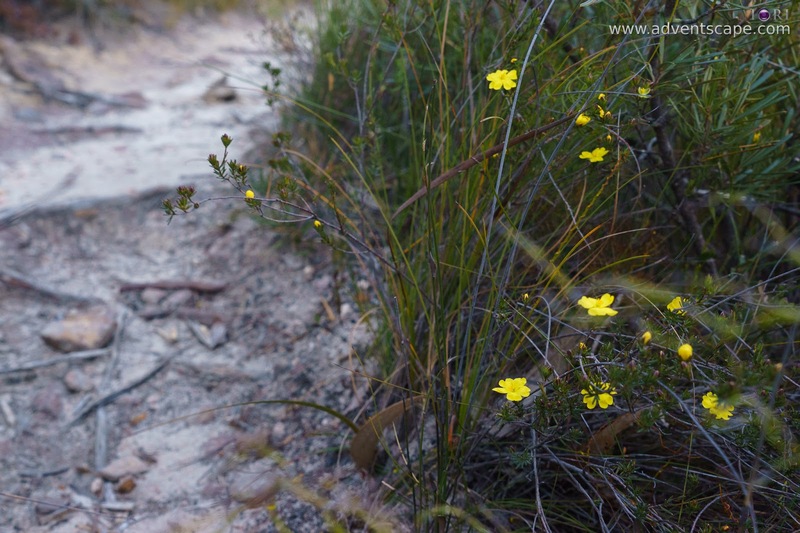 I finished many walks, some of which are long hours of bush walking. 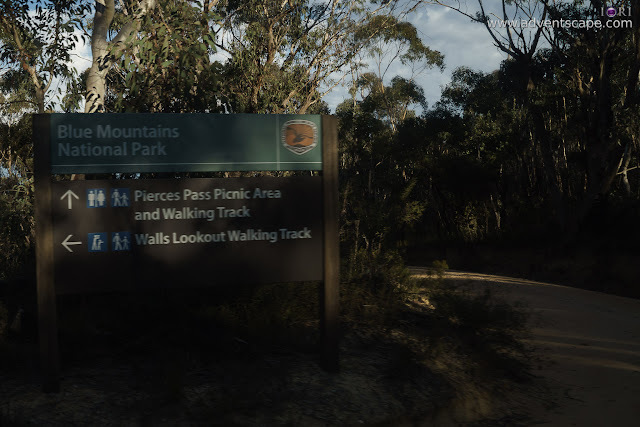 But for those who are not interested in long hours of bush walking but would like to visit Blue Mountains, I'd suggest Walls Lookout. This is a highly recommended lookout to visit at the Blue Mountains.